Nashville Zoo is the perfect place for your group's adventure! When the last visitor leaves the zoo and the sun goes down, whoooo’s day is just beginning? A Night Owl of course. Experience Nashville Zoo after dark for a WILD adventure. Designed for families, Scout groups, school groups, and churches. If spending the night at the Zoo does not fit your schedule, we offer scout programs during the day. Scouts learn about animals and our environment through games, crafts and a live animal presentation. Scouts will earn their Merit Badge during this all-day, interactive workshop which includes presentations, Zoo walks, games, outdoor exploration, and live animal visitors. AN OVERNIGHT GROUP EXPERIENCE AT THE ZOO! Experience Nashville Zoo after dark for a WILD adventure. Night Owl Programs are designed for groups of all types, ages 5+. For Girl Scouts, Cub Scouts and American Heritage Girls we offer programs to meet badge and adventure requirements. Night Owl programs include ed-zoocational activities, games and crafts. Experience the Zoo with a guided walk at night and in the morning. Plus, meet two of our Ambassador Animals! A light evening snack and morning breakfast are provided along with admission to the Zoo following your program. 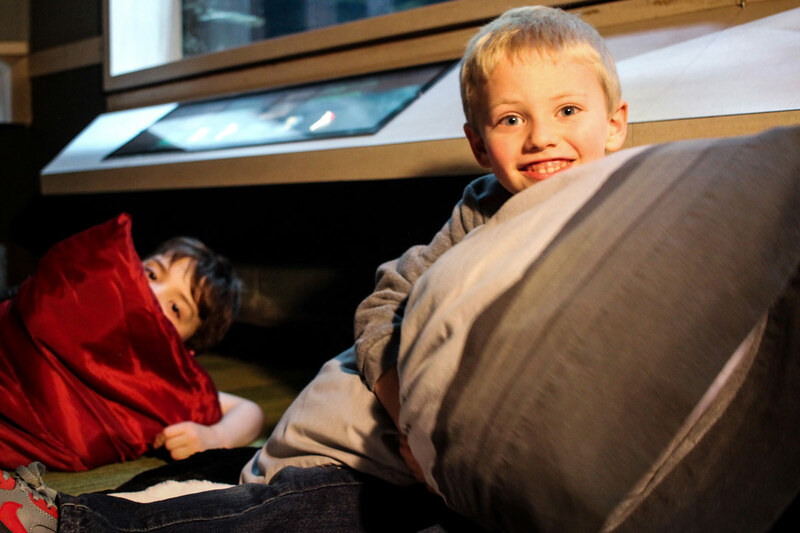 Overnight groups can choose between spending the night in the Unseen New World, inches away from the Zoo’s amphibian, reptile and fish collection, or in a Croft Center classroom. Our year-round Night Owl program is for groups of 15-150 people. Programs start at $675 for 15 participants ($45 per participant - includes Zoo admission for next day). Groups of 100+ should contact us before paying a deposit. New starting March 2019! Have you ever spent the night in a Peruvian lodge? Now is your chance! Expedition Night Owl will let groups spend the night in the heart of the Zoo's new Expedition Peru: Trek of the Andean Bear. Expedition Night Owl is for groups of 15-25 people. Programs start at $825 for 15 participants ($55 per participant - includes Zoo admission for next day). Dates available two months out from the booking date. Zoology is the scientific study of animals. Our planet is teeming with life making it is easy to overlook its vast variety. Learn how scientists classify animals and characteristics that qualify a living thing as an animal. Maybe you live in the city, the country, or maybe you live in between. No matter where you live, you will find amazing bugs, birds and animals nearby. 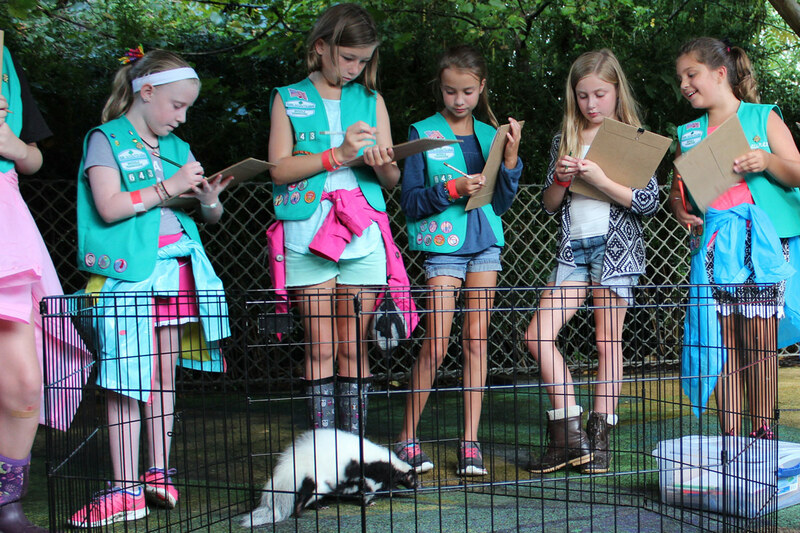 In this adventure, scouts will learn about animals that live near their homes and here at the zoo. Take a step back in time. Can you imagine birds the size of airplanes flying over your head? Can you picture what it would be like to run into a big, bad T. rex in the woods? Dinosaurs and other giant creatures lived and died out millions of years ago. In this adventure use your Wolf brain to test your knowledge on different dinosaurs and learn about the role a paleontologist plays in uncovering the past. In this adventure you will explore the world of mammals, birds, plants and more. You will learn more about where wild creatures live and how you can do your part to help their survival. Do you wonder what makes the howling, hooting, whistling, and humming sounds you hear at night? Do you wonder where flocks of birds are going when they fly overhead? When you go “into the wild,” you will begin to understand some of the mammals, birds, reptiles, amphibians, and insects that live with us day and night and how they contribute to the world in which we live. Caring for animals is fun and important - just like caring for you! Get ready to learn all the ways to keep animal safe and happy. This program will assist you with sessions 1-5 for the 5 flowers, 4 stories, 3 cheers for animals journey. Bugs help us in lots of cool ways. Scouts will explore the world of insects and learn how they help the earth and people, too! You learn about your world in many ways: seeing, hearing, feeling, smelling, and tasting. You use your senses all the time, even when you don’t know it! Imagine meeting a primate or kicking up dust with a kangaroo. Scouts will learn more about wild animals and their wild habitats and how we can help them survive. Night has captured human imagination since the dawn of time. But with modern-day electricity, it's easy to overlook the mysteries and beauty of the world after the sun goes down. Turn out the lights, tune in your senses, and step out into the night at the Zoo. As the sun sets, many creatures of the night come alive! Plunge into darkness and discover a whole new world of nocturnal animals. Join us on our journey in learning about their special adaptations, habitats, and their role in the ecosystem. There's no place like home and lucky for us we don't have to travel far to discover our natural world in our own backyard. Learn about the wildlife of one of the most biodiverse areas in the country without having to leave the zoo! Who's endangered and why? Become heroes of the globe, learning the different reasons many species and habitats are endangered and why caring for animals at the Zoo is important to the survival of species in the wild. Experience the nighttime side of the Zoo as we explore cause and effect, human impact and what we can do to help our planet! Night Owl questions? Refer to our Night Owl FAQ. Contact education@nashvillezoo.org or 615-833-1534 x160. Daytime programs designed just for scouts! If spending the night at the Zoo does not fit your schedule, we offer scout programs during the day. Scouts (ages 5+) learn about animals and our environment through games, crafts and a live animal presentation. These programs meet several badge and adventure requirements for Girl Scouts, Cub Scouts and American Heritage Girls. Programs start at $200 for up to 10 participants ($20 per participant - includes admission to the Zoo). Scouts will explore the connection between humans and animals. Learn how animals help humans, the importance of training animals in a zoo setting as well as service animals, and the benefits for the animals' well-being.